KTN’s talented investigative journalist Mohammed Ali is popular for exposing the evil deeds in the society, thanks to his TV program Jicho Pevu. 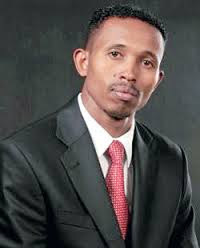 The sultry media personality, due to his professionalism, has gained respect and ‘fear’ all over the country and he recently landed a job at Al Jazeera. 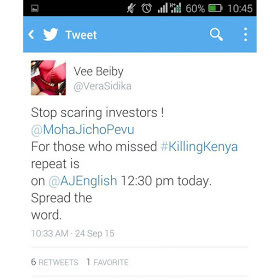 Kenya’s bleached socialite Vera Sidika decided to throw her two cents on Mohammed Ali’s recent investigative piece dubbed Kenya’s Killings. According to the well-endowed hot mama, Ali’s documentary which partly claims that Kenyan innocent citizens are five times likely to be killed by police than a criminal was frightening investors. 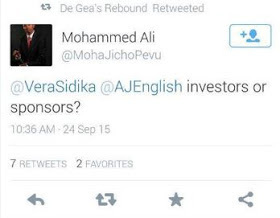 Mohamed Ali gave Sidika a dose of her medicine when he claimed that she was afraid of losing her sponsors!